Sandberg said she takes the issue seriously and personally. One of the Bay Area's most famous people has a goal and Facebook's Sheryl Sandberg wants you to help. Facebook's chief operating officer, who co-chairs the Stand Up for Kids campaign, aims to raise $7 million to end childhood hunger. "We have to get everyone involved," she said. "One in three children is hungry or will be hungry in our area. That's a problem we can solve." The campaign is huge at San Jose's Second Harvest Food Bank. "My children and I go regularly to distribution and we hand eight bananas to a family of five -- that's for a month," she said. "We know we can do more." 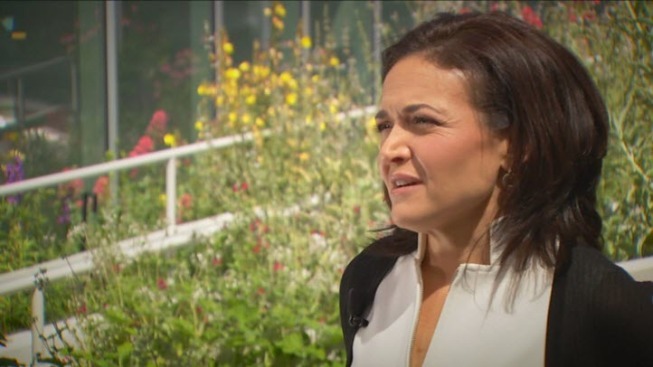 Sandberg is also know for writing a book called "Lean In" and started the non-profit Lean In organizations to help women reach their ambitions.